To improve safety for Swim Heron visitors, we’ve been working with NOWCA from 2016 to provide an electronic system for ‘clocking’ swimmers in and out of the water. 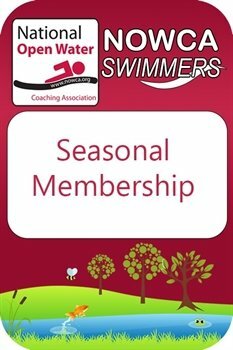 To swim with us it will be necessary to register annually as a NOWCA member. The annual cost is £12.00 and each member will receive a NOWCA Identification wristband enabling easy access to the lake. Open Water Swimming is one of the fastest growing mass participation sports at the present time. The National Open Water Coaching Association (NOWCA) was started in 2010 to help improve safety standards at open water swimming venues around Great Britain. Daily Data Capture: All swimmers visiting a Lake can be clocked ‘in’ and ‘out’ of the water, enabling valuable usage data. Swim Heron will be offering each new member registering with NOWCA and choosing Heron as their home lake their first swim free. Please click here to join NOWCA.